Ruling coalition partner, Jumhooree Party (JP) has awarded tickets for the upcoming parliamentary polls to eight additional individuals. 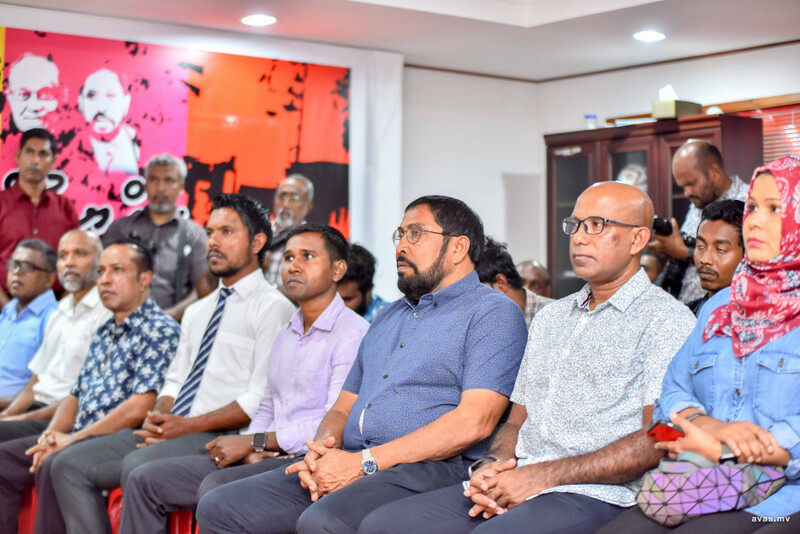 The decision was made by party leader Gasim Ibrahim, to whom the JP congress had previously granted full sole authority to choose candidates of his choice to represent the party. The tickets were awarded to Adam Moosa for Ihavandhoo constituecy, Ibrahim Mansoor for Milandhoo constituency and Ismail Naseem for Nolhivaram constituency. While the Holhudhoo constituency ticket was awarded to Abdul Sattar, Kinbidhoo ticket was granted to Ahmed Shareef. Madaveli ticket was granted to Mohamed Ahmed while Abdulla Hakeem was granted the Naifaru ticket. Mohamed Faruhaad won the ticket for Addu-Meedhoo constituency. At the function held on Sunday night to award the tickets, Gasim revealed that additional tickets will be awarded by the party. Jumhooree Party has previously granted 36 tickets for the parliamentary polls, mostly to senior leadership members of the party. Among the 36 who were awarded tickets include former Acting Commissioner of Police, Abdulla Nawaz, former Youth Minister Iruthisham Adam and athlete Aminath Nazima. Other notable individuals who received tickets include Colonel Mohamed Nazim and Alhan Fahmy. Also awarded tickets were current JP members in the 18th parliament, including the 12 MPs who were disqualified from their seats by the Elections Commission for defecting from then ruling Progressive Party of Maldives. The popularity of a candidate as well as their education and experience will be considered when choosing candidates, said Gasi earlier. Main ruling party, Maldivian Democratic Party (MDP) and JP remained at loggerheads over contesting the upcoming parliamentary elections through the same coalition which saw them win the presidential elections in November last year. In an agreement signed between the coalition partners ahead of the presidential election last years, it was decided that MDP will contest for 35 seats while Jumhooree Party, Maumoon Reform Movement and Adhaalath Party will contest for 22, 17 and 13 seats respectively. However, Maldivian Democratic Party (MDP) decided at its National Council to contest for all 87 constituencies in the parliamentary election, despite the existing coalition agreement to divide up the seats among themselves, triggering dispute among the coalition. Therefore, JP has now decided to contest the primaries separate from MDP.